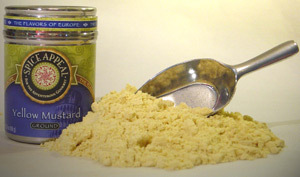 Once considered a symbol of fertility for the ancient Indians, mustard is one of the oldest known culinary and medicinal spices. Acts as a physical emulsifier, stabilizing mayonnaise and salad dressings. Enhances the flavor of baked beans when combined with brown sugar, ketchup, onions and bacon.